I received this audio book for free in exchange for my honest review. The author did a fantastic job with both the writing and the narration on this exciting story. A fast-paced sci-fi novel It follows Wildebear through a series of strange and deadly episodes, all in an effort to save his nephew Ridley. What a story! A mans nephew/ward has sudden changes in his behaviour.Upon investigation,we find a books influence might be to blame.This was so well written and intriguing,I did not want to put it down! Joe Mahoney was also a fine narrator.Looking forward to more from him. I was given this book by the narrator,author or publisher free for an honest review. It was the demon Ugertha that drew me in. S/he is a complex character with murky motives. Barnabus must save his nephew, Ridley. He has no idea how he will do it nor what it will cost him. For the first half of the book, my attention was firmly held. There’s these sentient cat-like aliens, the T’Klee, and the evil & dangerous Necronians, who have many tentacles. Barnabus will find allies and enemies around every corner. The second half of the book got a bit muddled for me. I felt I needed a diagram to keep track of it all. There’s some mind-muddling going on so I was never sure how much of what was simply in Barnabus’s head and how much was happening real time. Plus, there’s the time travel bit. So we have multiple copies of some characters interacting with all of it. The T’Klee were my favorite bit. I love the idea of large cats with opposable thumbs, their own language & culture, and having to fight the technologically advanced Necronians. Also Swipe was a clever young T’Klee caught up in a bad situation. I was rooting for her the entire time even though I knew things would never be all rainbows and butterflies for her again. There were few female characters. Besides Swipe, there’s Barnabus’s dead sister (who provides emotional fuel for him and Ridley to get stuff done), and then the scientist Sara (who is always described by her awesome looks first and second and her mental abilities third). Perhaps we can count Ugertha as a female character, but she’s really a mix of all the people she’s absorbed over the years. It would have been nice to have a bit more from the ladies. The ending rallies a bit. I was still confused about Ugertha who I think becomes known as Jacques… but then there’s also Jack, right? These seem to be all the same ‘demon’ (or alien) at different points in time. But I’m not sure, which is it what bothered me. I want to be sure about such things by the end of a book. Speaking of that ending, it gets rather sentimental and strives for deep thoughts. I found it a little sappy. I wanted a more definitive ending, perhaps following a rousing action scene. All together, it has some fun ideas, a few great scenes, and the T’Klee are most memorable. 3.5/5 stars. 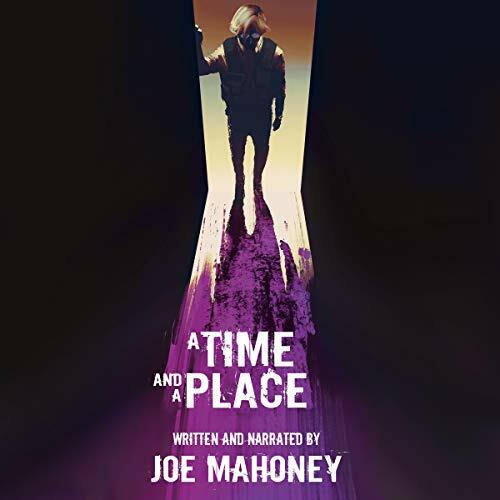 The Narration: Joe Mahoney has narrated his own story. He does a decent job but needs a little polishing all around. He had distinct character voices for all the characters (yay!). There were a few mouth noises here and there. The pacing was just a touch slow but the narration was also clear. The female voices were pretty good though sometimes they could have used a little more femininity. 3.5/5 stars. An Incredible Journey with Barnabas J. Wildebear! I received this free for an honest review from the author or narrator. I'm sorry to say I honestly couldn't get my head around the story. I didn't make sense to me.